The Mall is a closed catalog cloud application with an integrated market place. 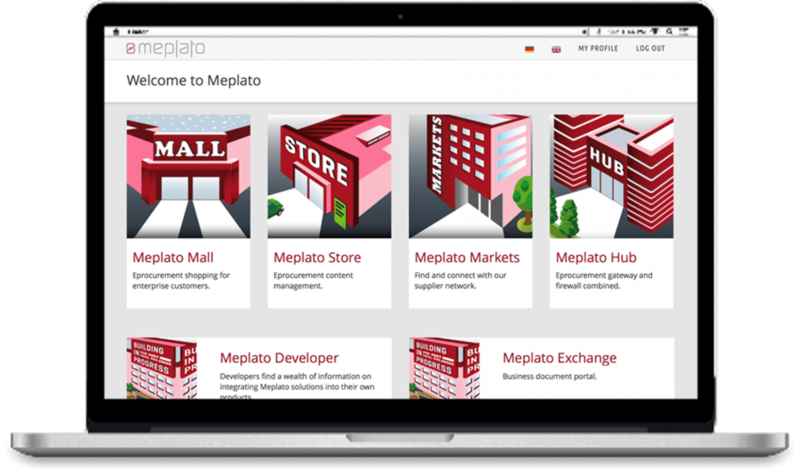 It allows companies to combine assortments from own & external catalogs, marketplaces and webshops and to map them with the help of a modern user interface and a high-performance search.Thereby, it is possible to conclude own agreements in the Mall as well as have access to Meplato’s assortment. The Store supports suppliers as a central self-service content manager in the provision and management of catalogs and webshop content. With no complex installation required, the suppliers can quickly and intuitively create, manage and customize own catalogs and projects. While the web interface can be used to flexibly adapt items and carry out bulk changes, the latest transmission standards (e.g. JSON) make the data available to customers in a timely manner. Bundle your requirements & providers in indirect purchasing over one platform. Keep track of all your suppliers and processes. Bundle as many internal & external catalogs, marketplaces and service providers as you want. Connect your buyers, suppliers & service providers in your catalog cloud. A transparent, strategic and international solution. Analyze with maximum transparency your order history within your catalog cloud and optimize your procurement channels. We show you what efficient and strategic supplier integration can look like over various content channels and how it can be implemented internationally. Give suppliers without e-procurement expertise the opportunity to connect via the Store and Kiosk to your procurement systems and increase your PO quote. No investment in software, no long project lead times, instead web-based use: Stay flexible and choose how you want to use our solutions. Take advantage of our applications almost immediately after project start. Lightning fast and with minimal integration! It is important that we at all times have full transparency over our own catalog cloud. Which suppliers do we buy from? How are prices evolving? We integrate own frame agreement suppliers as well as Meplato assortments. This has helped us significantly increase our no touch rate!